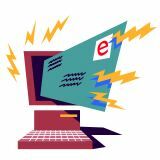 Today, I’m pleased to be launching a weekly column on this blog devoted to answering medical-related questions writers have been asking that pertain to characters or stories they are writing, books they are reading, or TV shows/movies they are watching. Since my medical background and cases inspire ideas for my own books, I would like to help other writers and readers understand more about common and unique medical maladies. 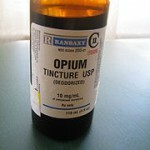 A. Laudanum is also known as tincture of opium. It is 10% opium and 90% alcohol, usually with a flavoring added to mask its bitter taste. Obviously the 180 proof had an effect outside the opium. It was probably invented in the 16th century and its name comes from the Latin laudare, to praise. Laudanum has strong analgesic properties and was used for many purposes ranging from menstrual cramps to colic in babies. It was used recreationally as well. By the 19th century, laudanum was in popular use without a prescription. In addition to characters in novels, like Sherlock Holmes, it was used by authors themselves, among them Sir Arthur Conan Doyle, John Keats, Edgar Allen Poe, Lewis Carroll, and even Charles Dickens. 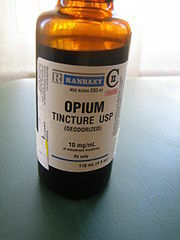 Laudanum has side effects that are typical of most narcotics, such as dependence, withdrawal, sedation, constipation, and death (from overdose). In the 20th century it was removed from the over-the-counter market, along with the cocaine in Coca-Cola! A. Amyloidosis is a rare disease caused by an abnormal protein called amyloid being produced in the bone marrow. Abnormal antibody proteins can create amyloid deposits that build up in the bloodstream and damage any organ. They frequently affect the heart, kidneys, and nervous system. There are various forms and because it is rare and difficult to diagnose, amyloidosis is generally incurable. Symptoms can range from changes in color/texture of skin, swelling in ankles and legs, numbness in hands or feet, fatigue, and shortness of breath–symptoms indicative of a variety of other illnesses. I check for it in my patients because it can cause peripheral neuropathy. Not thought to be contagious, one of my neurology professors, who studied it extensively, performed numerous biopsies on patients who died from it, actually (and sadly ironically) died from it himself! Those of us who do procedures always eventually stick or cut ourselves while treating patients. The movie Puncture deals with some of the dangers of modern medicine. Attention writers! 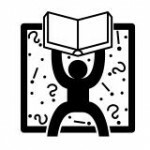 If you’re working on a book or script and need quick insight or advice on a medical condition that affects a character or impacts a storyline, please email your question to fritz@fritzstrobl.net. I’ll post answers to two questions every Monday on this blog! Please note: due the volume of requests received, I am not able to provide personal responses, nor can I answer questions regarding personal health. If you have a question or concern about a health issue, please contact your doctor.